Here at Bear Mountain Housekeeping, we value the health of you, your family and the environment. As such, our cleaning products are completely natural and use the power of essential oils to make your home sparkly clean. 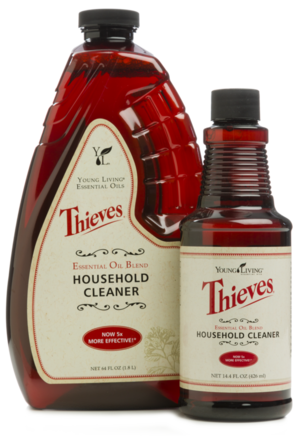 We absolutely love Young Living's THIEVES household cleaner. It is 100% plant based, is biodegradable and complies with environmental protection standards. THIEVES uses a powerful combination of Clove, Lemon, Cinnamon, Eucalyptus and Rosemary. It is safe to use on floors (including hardwoods), windows, benches, tiles and more.